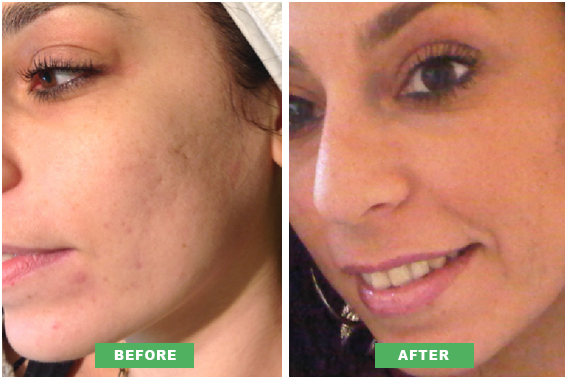 I was recommended by a friend to book a consultation with Frances in 2011, I was advised that I would benefit from glycolic skin peeling and derma roller treatments for my mild acne and scarring to my face. I am a patient of CHROHNS disease and suffer quite badly with skin flare ups as a result of my illness. The national association of Crohns and Colitas award grants to help sufferers like myself, I cannot work due to my condition and would not have been able to afford the treatments, Frances Furlong of Perfect Skin generously donated half of my treatment cost matching the grant money from the association and I have been able to have my skin treatments, which has meant the world to me. I was obviously quite nervous about the treatments initially, but the information on how and why these treatments would help made sense, Frances and her team made me feel so cared for and relaxed, all my treatments have been very comfortable and I look forward to all my future maintenance treatments”. During the time I have seen Frances she has always made me feel at ease and I have always felt confident that I am in the right hands. All my friends and family have commented on how much better my skin looks and it has really helped my confidence. Normally I would always use heavy make up before leaving my house, now I feel that I can wear the minimum amount which is a breakthrough for me! I would advise anyone with skin issues to see Frances, she is a warm and friendly person, also being treated by a nurse gives you that extra peace of mind. Thank you Frances you have made my 2013 the best year yet!.